LOUISVILLE, Ky. — After opening remarks from NMMA president Thom Dammrich and a motivational pep talk from NCAA champion basketball coach Rick Pitino, I headed out to the Kentucky Exposition Center floor on Tuesday to take in the first day of the International BoatBuilders’ Exhibition & Conference. Elco Motor Yachts senior vice president of sales and marketing Kevin Kearns spoke with one inquisitive attendee after another who stopped at the company’s display to check out its first 100-hp electric motor (a 70-hp model was previously Elco’s largest). Kearns said the target market for the new 100-hp motor is displacement hulls, primarily sailboats as large as 70 feet. He said Elco expects the motor to garner interest mostly from boat owners looking for green (and quiet) propulsion alternatives. Horizon Premium Dock Lines senior sales distributor Julian Hood was busy fielding questions about the company’s dock lines and soft coolers. David Halcomb, of CD Consultants, who recently took on fuel catalyst manufacturer Nano Fusion, was on hand to help the company recruit regional dealers for the sales network Nano Fusion is developing. “Our marketing strategy is to set up regional dealers to sell the products, rather than rely on distributors and retail stores,” Halcomb said. Dometic senior vice president of global system sales Ned Trigg was showing attendees the company’s large display. It showcased seven new products, including the Orbit 7100 Series MasterFlush Toilet, which earlier in the day won an Innovation Award. 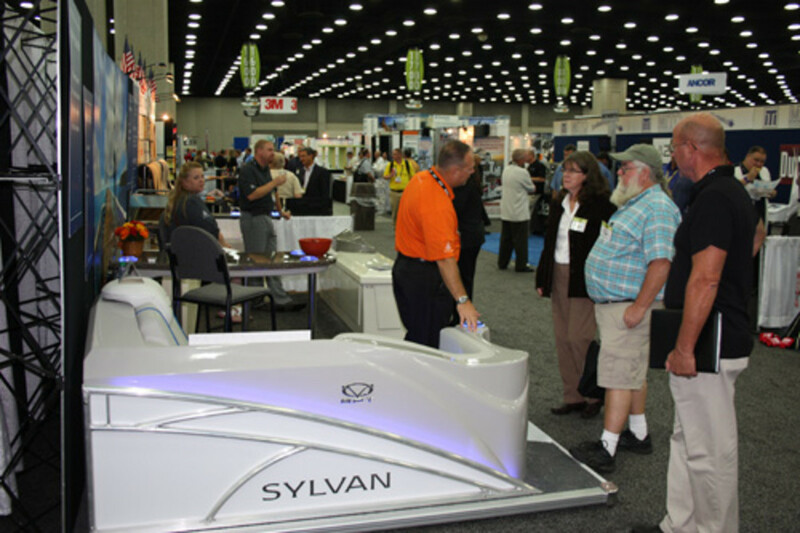 Toward the back of the exposition center was an eye-catching display from marine audio manufacturer Roswell Wake-Air that featured an airborne sportboat and plenty of bright lights and flat-screen monitors showing ski boat action. 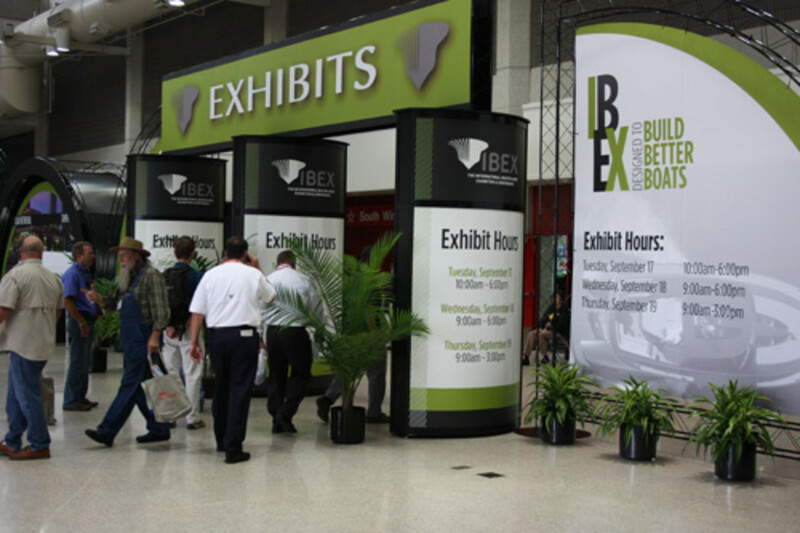 This is the first time the 15-year-old company has exhibited at IBEX, but it has been very well-received, executive assistant Callie Hardwick said. “We’re here to further grow our brand identity and meet more potential OEM clients,” she said. The seminar I attended was titled “Go Global: Expand Your Business Through Exporting” and it was produced by the National Marine Manufacturers Association and moderated by Julie Balzano, the NMMA’s export development director for the past year. The message from the export finance manager, international trade specialist and economist who spoke was that there are many options — educated advice, personalized market research and low-interest-rate loans — available to small marine businesses that want to develop export markets for their products.